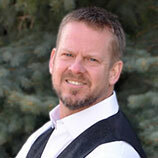 If you’re just starting out with braces or another orthodontic treatment, you’re likely to hear a lot of terms thrown around that may not make much sense. Those of us who hear those words all the time tend to forget that not understanding something can often make it seem scarier than it actually is. 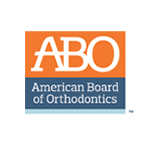 So, we’ve put together a list of common orthodontic terms and definitions here. If you are in the office and hear anything that you don’t understand, ask us to explain it to you. We’ll be happy to. If you’ve had any teeth pulled as part of your orthodontic experience, you’ve likely heard this term. It just refers to the teeth on either side of the hole where the missing tooth used to be. These are simply the teeth at the front of your mouth. If you’d like, we’ll show you a model and point them out to you. We think it is interesting, but that’s why we do what we do. We’re not talking about your microwave. 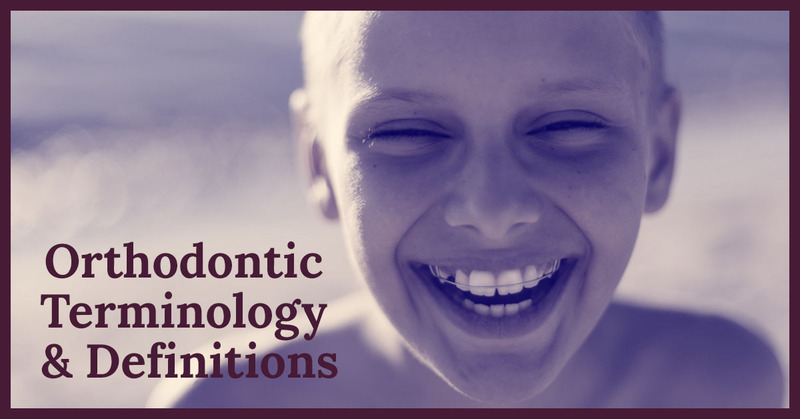 This is a general term that we use to refer to just about any device that gets attached to your teeth during the course of your orthodontic treatment. When you go to get your braces adjusted, it is the archwire that we are adjusting. It connects your brackets, and we adjust it to make sure everything is moving in the right direction. No, these aren’t rubber bands. They are actually metal. If you’ve got braces on now, you can probably feel them with your tongue. They’re metal rings placed on your molars. Everything that needs to be attached back there, like the archwire, gets hooked on to the band. These are the modules that are fixed to each of your teeth individually. Everything else attaches to, or is guided by, the brackets. 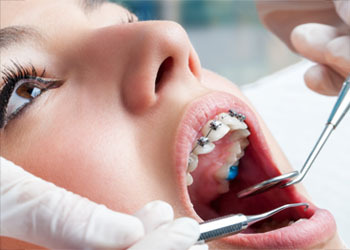 This is the process we use to attach your braces. This whole-head x ray lets us see if your teeth are growing properly so that we know what to plan for. You’ll be happy to hear this word. It means we’re removing the cement that held your braces on, so you’re all done! 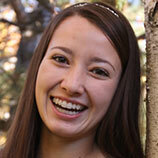 If your braces are working to push two teeth closer together, that’s probably because the interproximal is too wide. It is the space between two teeth. Believe it or not, this is just a fancy name for those little, donut-shaped pieces of plastic that hold the archwires in the brackets on your teeth. We hope these definitions have been helpful. 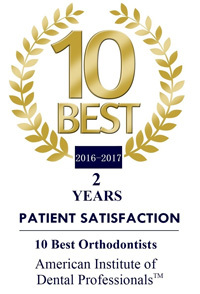 If you aren’t already a patient but you need a new orthodontist, please stop by and see us. We look forward to meeting you and answering all of your questions.